This week we are sharing our techniques for making fabric labels (i.e. tags) to put on your creations. So why would you want to put labels on anything? If it's an item you are selling, you want the buyer/recipient to know where it came from so they can tell other potential customers where to get one. If it's a gift or personal momento (quilts, etc.) you'll want to put your name and date on it for posterity's sake. There are many different ways to go about making labels, so you should choose the method that makes the most sense for you! Find a coordinating scrap of fabric without a pattern on it, secure it in an embroidery hoop and use thick embroidery thread to create lettering. 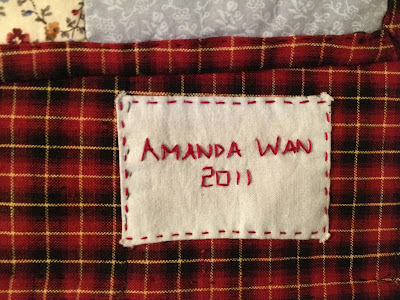 Trim it down to a square, press under the edges, then hand-applique it onto the back of your quilt near the bottom corner. 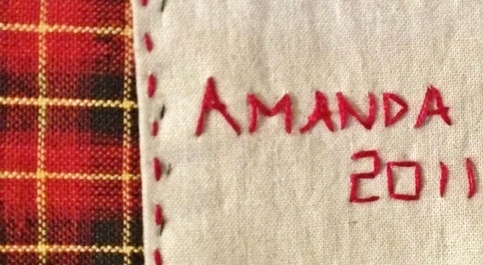 Hand-embroider the letters directly onto the back of your quilt, making sure you only go through one layer of fabric. 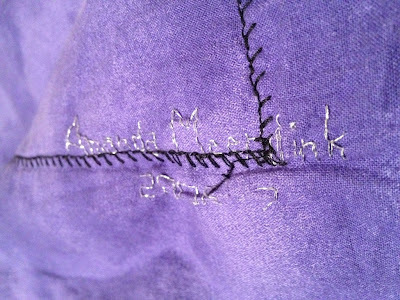 Use a thread that coordinates with your quilt design but blends into the quilt. This gives you a discrete label that you can find if you look closely, but it won't be obvious from a distance. 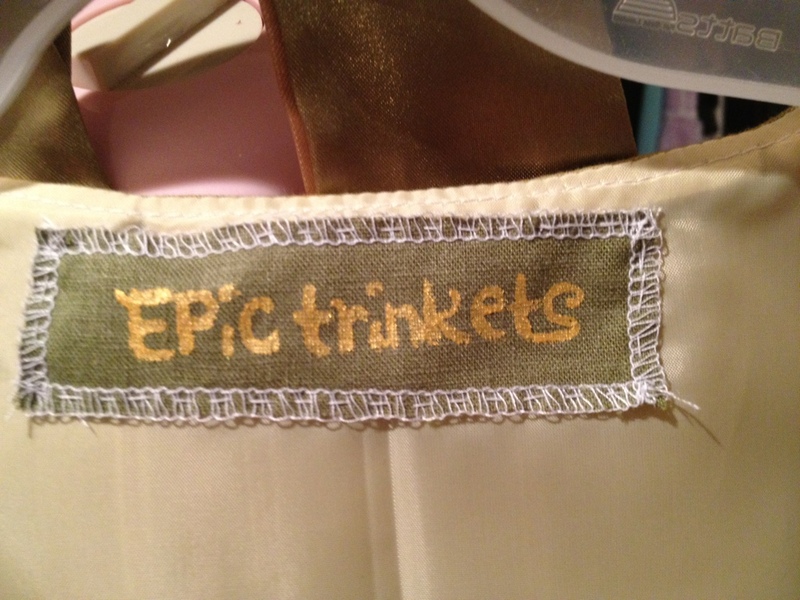 Use fabric paint to paint lettering directly onto a piece of fabric. 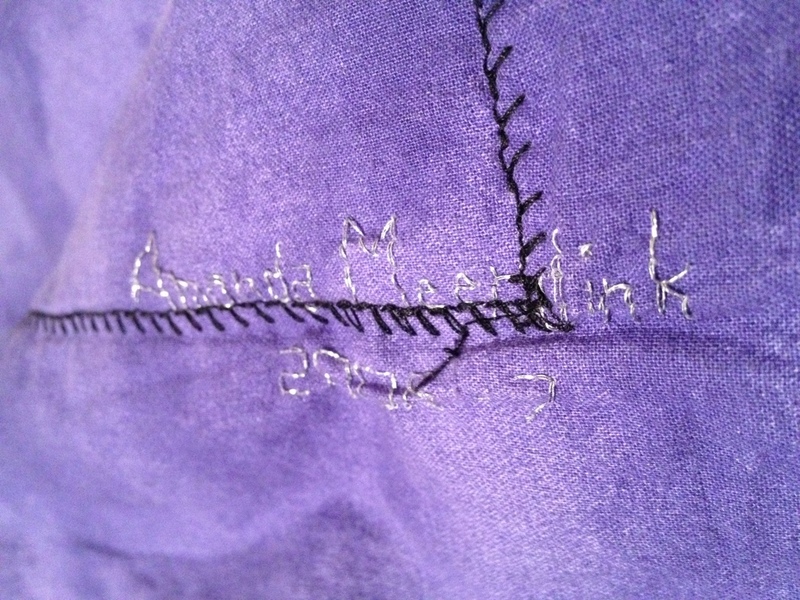 Use a serger to finish the edges, then stitch the tag into your garment. There are some reasons why you might not want to hand-make your labels. All of these reasons could make this method quite daunting. That's okay. SmallRiniLady has a Printed Method she will share, and you'll find that her method solves these problems very well. You'll want to use her method if you are making items to sell! We're going to PAX 2012!